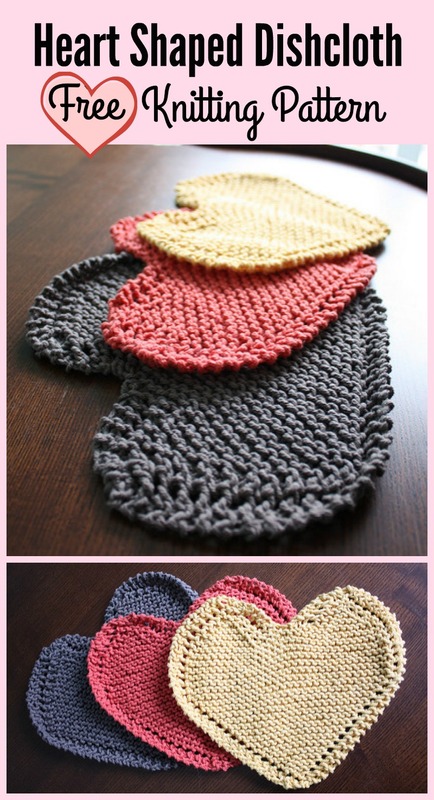 This cute heart shaped dishcloth free knitting pattern is a great dinner table decoration! Not only is this a very cute and easy to make dishcloth, this is also very practical! You can use this normally as you would with any other dishcloth. I would recommended this for anyone but especially since Valentines day is nearing! This is also very easy to make and even beginners should have no problems making this.